This is something new on this blog. Tuesday Night Blogs have been going for several months and a number of bloggers interested in golden age detective writers (surely everyone will recognize the reference to the Tuesday Night Club) have been writing about ones decided on for the month. The first one was, of course, Agatha Christie and Curt Evans collected them all on his blog, The Passing Tramp. I took part in that but on Your Freedom And Ours. 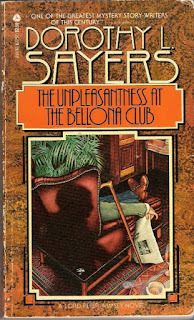 I also wrote about Ngaio Marsh, collected by Moira Redmond on Clothes in Books and about Rex Stout, collected by Noah Stewart, who is also responsible for the very fine logo specially created for the February series, about Dorothy L. Sayers that I shall be collecting with links at the end of this posting. I have decided to shift the exercise to this blog (though there will be a link from Your Freedom and Ours) as there have been numerous references to and postings on Miss Sayers before - she was after all, a conservative thinker and writer. 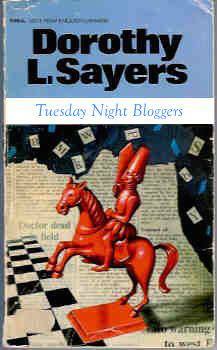 My first blog is about Miss Sayers, Lord Peter Wimsey and capital punishment. (I am afraid there will be spoilers.) Though I have read essays and letters by DLS I have no clear idea whether she was in favour of capital punishment but I am assuming, unless proven otherwise, that she was. Famously, Lord Peter though eager and willing to hunt down criminals, especially murderers, loses self-control and comes close to break-downs when he is successful. It is important to note that, unlike Josephine Tey' Inspector Grant who has near-break-downs because he finds himself pursuing, hounding and almost driving to suicide the wrong men, Lord Peter's neurosis appears when he gets the right man. For all of that, he does not ever think of letting criminals go - there is not a single case of "justified murder" in any of the Wimsey novels or short stories. In Busman's Honeymoon he replies to Harriet's unreasonable question as to why it should be his hands who deliver someone to justice with the comment: "These are hangman's hands." Then he explains that he had been allowed to watch an execution once as he thought he should see it all for himself but it did not cure him from meddling. Later on in the book Harriet remembers that if it had not been for his meddling she would probably have been wrongly convicted and probably hanged. As it is, the real murderer was. Not all Wimsey novels end with the assumption of execution but, curiously, all but one that involve Harriet do. The one exception is Gaudy Night, where there is no death only some time in the past, let alone murder. In another novel, Nine Tailors there is violent death but it is not really murder though the person responsible dies in turn - a good death, trying to save the village from flooding and another man from drowning. 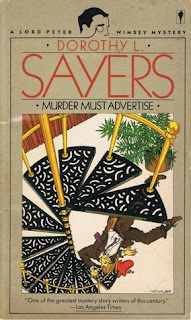 In yet another one, the supposed murder turns out to be suicide so, once again, Wimsey does not have a problem, especially as he also saves his brother from being hanged. That leaves ten Wimsey novels with murder at the centre and of these one, Five Red Herrings, is really self-defence. The others are definitely murder and Wimsey finds the killers and brings them to justice, at least after a fashion. We see him going through a nasty nervous break-down in the first one, Whose Body? and the last one, Busman's Honeymoon. We also know for certain that the murderers in those books suffer the highest penalty as Freeman Wills Crofts often said at the end of his novels. The first one does not have Harriet in it but the last one most certainly does. Strong Poison and Have His Carcase see murderers being sent to the gallows as we learn from subsequent references, especially in Gaudy Night. Three end in suicide - in Unnatural Death the killer manages to do it in prison and Wimsey comes close to breaking down. 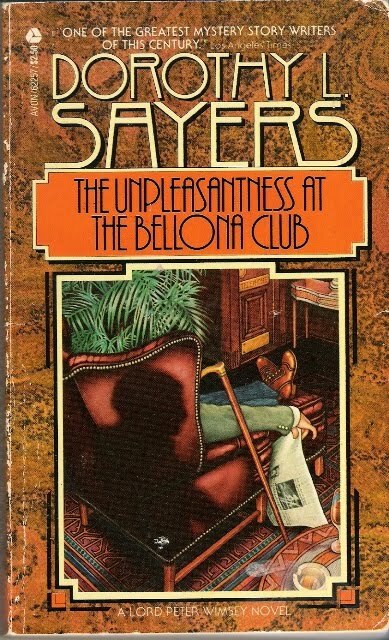 The interesting ones are Unpleasantness at the Bellona Club and Murder Must Advertise. Wimsey confronts the killer in one and has the killer seeking him out in the other. In both cases his decision is odd for a sensitive man with highly strung nerves: acting as prosecutor, jury and judge he condemns the murderers in those two novels to death by suicide instead of death by hanging. Indeed, in Murder Must Advertise he even pronounces the words as he watches the condemned man walk away: And may God have mercy on your soul. That this should happen twice is extraordinary and it does make one wonder about Miss Sayers's attitude to capital punishment. Other blogs on the subject are appearing. Kate Jackson is writing in Crossexamining Crime about Gaudy Night, the novel that divides readers. As befits the subject, it is a very careful analysis. Noah Stewart writes about the various editions of Dorothy L. Sayers's books, with illustrations. The one I must find is The Recipe Book of the Mustard Club. According to Noah, most of the recipes were contributed by Mac Fleming, Sayers's husband who was a gourmet cook. Moira Redmond casts a caustic eye over the first four Wimsey novels and points out an inconsistency or two. Bev Hankins writes about one of the secondary characters, the Dowager Duchess, Honoria Lucasta, not one of my favourites as I tend to be allergic to charm but reading this posting I thought I might have been unfair to the old girl. Lucy Fisher picks up some very odd "corrections" that make nonsense of the original and also some quite infuriating wrongly placed emphases.